In this Sept. 19, 2018 file photo. North Korean leader Kim Jong Un speaks during a joint press conference with South Korean President Moon Jae-in at the Paekhwawon State Guesthouse in Pyongyang, North Korea. North Korea said Thursday it will never unilaterally give up its nuclear weapons unless the United States first removes what Pyongyang called a nuclear threat. The surprisingly blunt statement jars with Seoul's rosier presentation of the North Korean position and could rattle the fragile trilateral diplomacy to defuse a nuclear crisis that last year had many fearing war. The latest from North Korea comes as the United States and North Korea struggle over the sequencing of the denuclearization that Washington wants and the removal of international sanctions desired by Pyongyang. The statement carried by the North's official Korean Central News Agency also raises credibility problems for the liberal South Korean government, which has continuously claimed that North Korean leader Kim Jong Un is genuinely interested in negotiating away his nuclear weapons as Seoul tries to sustain a positive atmosphere for dialogue. The North's comments may also be seen as proof of what outside skeptics have long said: that Kim will never voluntarily relinquish an arsenal he sees as a stronger guarantee of survival than whatever security assurances the United States might provide. The statement suggests North Korea will eventually demand the United States withdraw or significantly reduce the 28,500 American troops stationed in South Korea, a major sticking point in any disarmament deal. 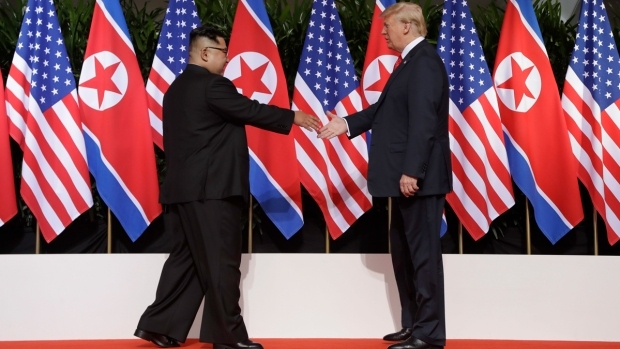 Kim and President Donald Trump met June 12 in Singapore where they agreed on a vague goal for the "complete denuclearization" of the Korean Peninsula without describing when and how it would occur. The leaders are trying to arrange another meeting for early next year. North and South Korea reached a deal to shut down North Korea’s main nuclear site - on one condition. But North Korea for decades has been pushing a concept of denuclearization that bears no resemblance to the American definition, with Pyongyang vowing to pursue nuclear development until the United States removes its troops and the nuclear umbrella defending South Korea and Japan. In Thursday's statement, the North made clear it's sticking to its traditional stance on denuclearization. It accused Washington of twisting what had been agreed on in Singapore and driving post-summit talks into an impasse. "The United States must now recognize the accurate meaning of the denuclearization of the Korean Peninsula, and especially, must study geography," the statement said. "When we talk about the Korean Peninsula, it includes the territory of our republic and also the entire region of (South Korea) where the United States has placed its invasive force, including nuclear weapons. When we talk about the denuclearization of the Korean Peninsula, it means the removal of all sources of nuclear threat, not only from the South and North but also from areas neighboring the Korean Peninsula," the statement said. The United States removed its tactical nuclear weapons from South Korea in the 1990s. Washington and Seoul did not immediately respond to the North Korean statement. North Korea's reiteration of its long-standing position on denuclearization could prove to be a major setback for diplomacy, which was revived early this year following a series of provocative nuclear and missile tests that left Kim and Trump spending most of 2017 exchanging personal insults and war threats. The statement could jeopardize a second Trump-Kim summit as the United States may have difficulty negotiating further if the North ties the future of its nukes to the U.S. military presence in the South, analysts said. South Korean President Moon Jae-in, who met Kim three times this year and lobbied hard for the Trump-Kim meeting, has said Kim wasn't demanding the withdrawal of U.S. troops from the Korean Peninsula as a precondition for abandoning his nuclear weapons. But Kim has never made such comments in public. "The blunt statement could be an indicator that the North has no intentions to return to the negotiation table anytime soon," said Shin Beomchul, a senior analyst at Seoul's Asan Institute for Policy Studies. "It's clear that the North intends to keep its nukes and turn the diplomatic process into a bilateral arms reduction negotiation with the United States, rather than a process where it unilaterally surrenders its program." Yang Moo-jin, a professor at Seoul's University of North Korean Studies, said it's unlikely that the North would push things too far and allow the momentum for dialogue to collapse. Pyongyang has been strengthening its demands for the removal of sanctions and its latest statement is another attempt to win concessions from Washington, Yang said. "Pyongyang is sending a message to Washington that confrontation and dialogue cannot coexist," Yang said. The nuclear negotiations between Washington and Pyongyang have stalled since the Trump-Kim meeting. The United States wants North Korea to provide a detailed account of nuclear and missile facilities that would be inspected and dismantled under a potential deal, while the North is insisting that sanctions be lifted first. Since engaging in diplomacy, North Korea has unilaterally dismantled its nuclear testing ground and parts of a missile engine test facility and suspended nuclear and long-range missile tests. However, none of those moves were verified by outsiders, and most experts say they fall short as material steps toward denuclearization. In the third meeting between Kim and Moon in September, the North also said it would dismantle its main nuclear facility in Nyongbyon if the United States takes "corresponding measures," which the state media later specified as sanctions relief. 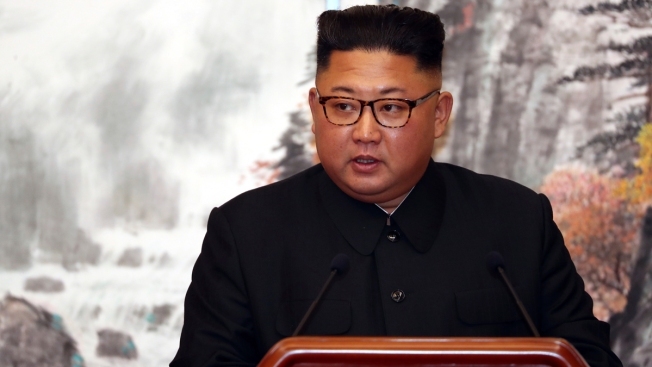 Kim declared his nuclear force was complete after the torrent of weapons tests in 2017, including the detonation of a purported thermonuclear weapon and three test-flights of intercontinental ballistic missiles potentially capable of reaching the U.S. mainland. Several reports from private analysts in recent weeks have accused North Korea of continuing nuclear and missile development, citing details from commercial satellite imagery. "If we unilaterally give up our nuclear weapons without any security assurance despite being first on the U.S. list of targets for pre-emptive nuclear strikes, that wouldn't be denuclearization — it would rather be a creation of a defenseless state where the balance in nuclear strategic strength is destroyed and the crisis of a nuclear war is brought forth," the KCNA said. "The corresponding measures we have asked the United States to take aren't difficult for the United States to commit to and carry out. We are just asking the United States to put an end to its hostile policies (on North Korea) and remove the unjust sanctions, things it can do even without a snap of a finger." The North Korean statement came a day after Stephen Biegun, the Trump administration's special envoy on North Korea, told reporters in South Korea that Washington was reviewing easing travel restrictions on North Korea to facilitate humanitarian shipments to help resolve the impasse in nuclear negotiations. During his four-day visit, Biegun plans to discuss with South Korean officials the allies' policies on North Korea, including the enforcement of sanctions. 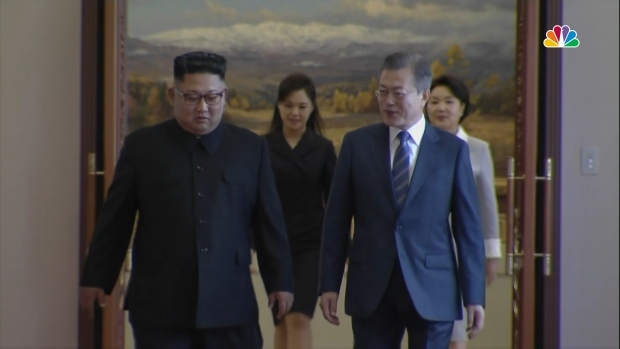 The meetings are likely to include conversations about a groundbreaking ceremony the Koreas plan to hold at the border village of Panmunjom next week for an aspirational project to reconnect their roads and railways. The North has yet to respond to Biegun's comments.